Mexican yam is one of some 850 species of yam in the Dioscoreaceae family. It is a perennial plant with twisting, climbing vines that grows in warm tropical climates. There are also some twists and turns related to this plant’s identity and its use as a herbal remedy. The wild yam (Dioscorea villosa) is a climbing plant that is native to the southeast United States and Canada. Such wild yam species as Dioscorea floribunda as well as Dioscorea villosa are native to Mexico. These plants are used for the herbal preparations known as Mexican yam and Mexican wild yam. 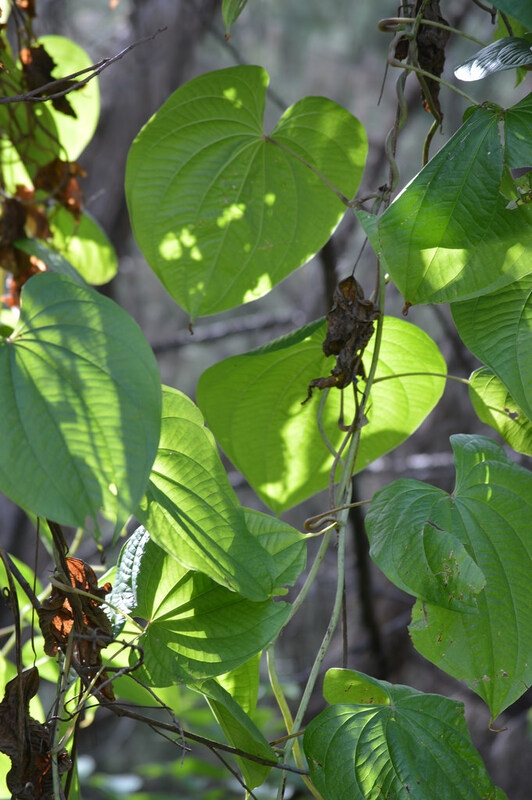 Mexican wild yam also grows in the southeastern United States and Appalachia. An extract of this plant is used as a herbal remedy called Mexican yam, wild yam, and Mexican wild yam. It is sold as a “natural hormone” cream and oral remedy. Mexican wild yam is also known as colic root, China root, rheumatism root, devil’s bones, and yuma. There is another twist to this plant’s identity. 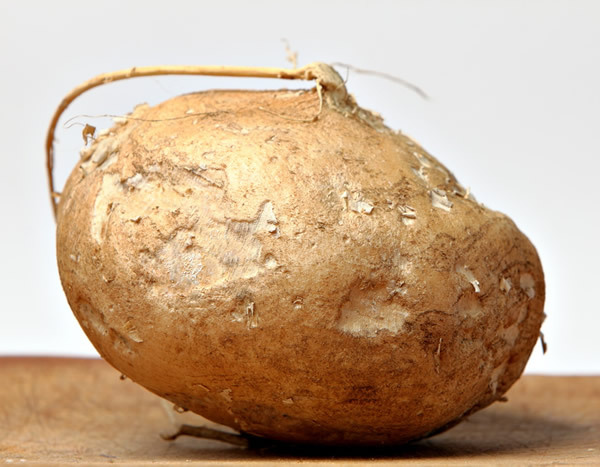 Although the Mexican yam has fleshy edible roots, this is not the yam that people associate with Thanksgiving dinner. That yam is actually the sweet potato, a vegetable that is the root of a trailing plant. It is a member of the morning glory family. The identification of the sweet potato as a yam is can be traced to the pre-Civil War era of slavery in the United States. The sweet potato reminded slaves from sub-Saharan Africa of the yam plants in their homeland. Mexican yam has long had a reputation as a woman’s herb. During the eighteenth and nineteenth centuries, wild yam was used to treat menstrual pain and conditions related to childbirth . Pregnant women used wild yam to combat nausea , ease aching muscles, and prevent miscarriages. Wild yam was also used as a colic remedy. Furthermore, the plant’s anti-inflammatory properties were thought to be effective in the treatment of rheumatoid arthritis. Marker worked with species of Mexican yams. Others used his technique for manufacturing progesterone to develop such products as the birth control pill and steroid drugs. During the 1990s, companies began marketing Mexican yam products as a source of natural progesterone and DHEA. Mexican yam products are also advertised as treatments for menstrual problems and osteoporosis. They are sometimes recommended for hormone replacement therapy during menopause, and sometimes the natural hormones are said to slow down the aging process. In addition, Mexican yam and wild yam products are said to boost progesterone effects that fall during the last half of the month. A rise in hormones could help a woman conceive. This marketing, in terms of the progesterone content and the results, has drawn criticism for misleading consumers. Herbal expert Varro Tyler described this campaign as a “wild yam scam” in his book, Tyler’s Honest Herbal. Although Mexican yam cream does not provide natural progesterone, the herb can be used for cramping conditions like menstrual pain. It can help to build up good cholesterol levels while alleviating poor circulation, nervousness and restlessness. In addition, wild yam root tea has been suggested as a means of increasing a woman’s ability to conceive. Mexican yam cream is marketed with the promise that it is natural progesterone. The cream is applied to the skin based on a woman’s condition. Dosages are based on the outcome expected. Mexican yam is sold as a powdered herb, liquid extract, tincture, and in capsule form. While there are general dosage recommendations for wild yam, instructions on commercial packages should be followed since product strength can vary. Wild yam tea, which is also known as an infusion, is made by pouring 1 cup (240 mL) of boiling water over 1–2 tsp (1.5–2.5 g) of the dried herb. The mixture is steeped for 10–15 minutes and then strained. Wild yam tea can be drunk three times a day. A tincture of wild yam in an alcohol solution can be taken 3–4 times a day. A single dosage consists of 2–3 mL (approximately 1.2 tsp) of wild yam. Wild yam capsules contain the dried root. The average dosage is 1–2 pills, taken three times daily. Menstrual cramps can be treated with a tea made with wild yam and cramp bark. Those herbs can also be blended into a tea with such herbs as motherwort, fresh oats, and chamomile. Relief for rheumatoid arthritis may come from a combination of wild yam and black cohosh. For kidney stones, wild yam can be combined in a tea with such herbs as cramp bark, hydrangea root, and yarrow. Mexican wild yam is safe if taken within prescribed therapeutic dosages, according to the PDR (Physician’s Desk Reference) for Herbal Medicines. The book draws on the findings of Germany’s Commission E, a government agency that studies herbal remedies for approval as over-the-counter drugs. An English version of the German Commission E Monographs was published in 1997. Pregnant and nursing women, as well as patients with hormone imbalances, depression, or hormone-sensitive cancers should avoid wild yam unless they are under the guidance of a clinical herbalist or physician. Furthermore, although wild yam root tea has been suggested as a method for a woman to become pregnant, the herb should not be used during the last half of a menstrual period. Large doses of Mexican yam may produce nausea. There is also a risk of poisoning. There are no known interactions when Mexican yam is taken with standard medications, other herbs, or dietary supplements.